More and more Americans are downloading applications for their mobile phones, and even if they don't know what to do with them, the programs are becoming an important part of the technology world of cell phone users. 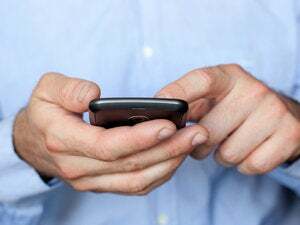 "An apps culture is clearly emerging among some cell phone users, particularly men and young adults," Kristen Purcell, associate director for research at the Pew Internet Project, said today on the release of a report by the organization on the use of cell phone application programs. "Still," she added, "it is clear that this is the early stage of adoption when many cell owners do not know what their phone can do." That was painfully apparent in the report's findings. Its authors discovered that 35 percent of U.S. adults have apps on their phones, but only 24 percent actually use them. What's more, one in 10 cell phone owners don't even know if they have any apps on their handsets. It's worse as the survey sample gets grayer. "This uncertainty about cell phone features is most pronounced among cell phone users age 50 and older, 15 percent of whom did not know if their phone came with apps," Pew reported. Moreover, app usage is low on the list of non-voice activities among adults. While only 29 percent of adult cell phone users have used an app, 76 percent of them have taken a picture with their phone, 72 percent have sent or received a text message, 38 percent have accessed the Internet from their phone and 34 percent have played a game, sent or received email or recorded a movie with their handset. Nevertheless, the rapid insinuation of apps into the lives of cell phone users is a significant development in the technology landscape, even if its meaning remains elusive, according to the report's co-author, Roger Entner, senior vice president and head of research and insights for the telecom practice at Nielsen. "This is a pretty remarkable tech-adoption story, if you consider that there was no apps culture until two years ago," he maintained. "Every metric we capture shows a widening embrace of all kinds of apps by a widening population," he added. "It's too early to say what this will eventually amount to, but not too early to say that this is an important new part of the technology world of many Americans."